Beginner's Guide: How to play Super Mario Run - updated for 2.0! Oh yeah! It's Mario time! Updated March 2017: We've added the biggest new features of version 2.0! Super Mario Run is now available in the App Store for the iPhone. It is Nintendo's second mobile game in history (the first being Miitomo and Mario's first game on a mobile device. Like any good Super Mario Bros. game, it has plenty of skill-based content: You'll have to plan your strategy and learn how to time your moves just right if you want to get all of the goodies on any given level. Super Mario Run is free to download. You can play the first three levels of World 1 and 20 seconds of the boss level for free; after that, you'll have to unlock the rest of the game for $9.99. Believe me, you'll want to buy this game once you've played 30 seconds of the first level. It'll hook you in! Download Super Mario Run now! There are three modes of gameplay; World Tour, Toad Rally, and kingdom building. Each one assists in unlocking other modes. Completing levels in World Tour unlocks new courses in Toad Rally, which unlocks new Toad colors, which unlocks new buildings for your kingdom. As such, you'll want to play everything every day. There are 24 levels across six worlds in World Tour mode. While you can race through all 24 levels in just a few hours, you'll miss out on the real fun of the game: the strategy! If you want to know how to score big in Super Mario Run, our beginner's guide will show you the way. Super Mario Run has just released a big update to the game! Version 2.0 has hit the App Store and here are all the new goodies included in the update! In version 2.0 you can play more of Super Mario Run for free. In World Tour, you'll be able to play all four stages of World One without paying a dime! Once you have completed those, you'll also be able to collect blue and green Toads in Toad Rally Mode, unlike before where you could only collect red. There are four new playable characters now available in Super Mario Run. You can now play has four different colored Yoshis, Blue, Purple, Yellow, and Red. In World Tour mode these new characters work exactly the same as the original Green Yoshi, with the ability to flutter jump and jump on spikes without harm; however, in Toad Rally Mode, the colored Yoshis have an added benefit. The colored Yoshis will help you attract Toads of the same color in Toad Rally Mode. You unlock these new Yoshis by building their houses in your kingdom, just like you would with any other characters. Easy Mode itself isn't new, but now you can activate Easy Mode with the tap of a button (pictured above) before you enter a level in World Tour Mode. Easy Mode negates the time limit in a level and gives you access to unlimited bubbles, so your characters can't die during a run. When you open the game for the first time, you'll be asked to select a region; after this, you'll need to link your My Nintendo account, if you have one. I highly suggest signing up for My Nintendo if you don't already have an account: It comes with free in-game content that you can't get without one. (You can also sign up with Twitter or Facebook.) After you've signed up and agreed to the Terms and Conditions, you're ready to play! First things first: Super Mario Run will teach you the basics by running you (ha ha) through a training level. Don't freak out if you can't make Mario jump at first: The level guides you through each move Mario can do, one step at a time; you'll be able to tap to jump soon enough. The game's training level takes about 30 seconds to complete, at which point you'll be whisked into the game's story. Like all good Mario games, you'll have encounters with kingdoms, castles, Peach, Bowser, and Toad — but I don't want to spoil the fun for you, so I won't go into further details. The first thing you need to know: Mario runs automatically. You don't have to — nor do you get to — manually direct him forwards or backwards. He also automatically jumps over small obstacles like blocks or enemies, small gaps in the path, and low-height Warp Pipes. Though Mario can automatically jump over most items, he's not invincible: He can still get injured or die. If you get hit when protected by a Mushroom power-up, you'll simply shrink back down in size. If you aren't, Mario gets captured by a bubble and slowly taken back to the beginning of the level; you'll have to tap the screen to pop the bubble. You can tap the bubble any time after Mario stops spinning: If you want to go back to the beginning of the level, you can float away; if you want to continue right where you left off, tap the bubble immediately. You get three bubble-saves before Game Over. Sure, you could let Mario do most of the running and jumping for you, but tapping to jump is much of the fun of the game: A well-timed jump provides some sweet rewards. For example, if you jump onto a Goomba's head, you'll earn some coins for crushing him. And if you time your jump just right, you can kick a Koopa Troopa into a spin and send him into your enemy's path. Proper jumps will also lead to areas with secret goodies, like Super Stars or Challenge Coins. While running the course, you'll see little transparent arrows: When you trigger one by running past it, a row of coins will appear in that direction for you to grab. Pay attention to these arrows, because they can provide hints as to where you should run or jump next. As with Mario games of yore, each level has a time limit: You have to get through to the end before the clock runs out or you'll have to start over (and note: when you bubble, your time won't start over). Challenge Coins are bright pink or purple, and can be found at various points throughout each level of Super Mario Run. They are usually — surprise surprise — challenging! They may be situated high above or far below Mario's typical running platforms, which means you'll have to practice some tricky movies to get to them. For example, you might have to jump on the head of a Goomba, which gets you up to a platform where you'd have to spin jump from in order to get even higher to grab a Challenge Coin. After you've collected every pink Challenge Coin on a level, you will unlock new purple coins for that level, which are — of course — even harder to get. Both the coin and block placement for a level changes after you've collected all of the initial Challenge Coins: The coins are harder to reach, there are new blocks in new locations, and you'll need to employ different skills to collect everything. Super Mario Run offers three sets of Challenge Coins for each level, so the replay value is great across the board. Pause Blocks stop Mario. When you step on one, Mario stops moving and the game timer pauses, allowing you to time when — and where — you want to move next. This is helpful when you've got a couple of options: Should you jump to the higher platform or stay on the lower level? When you've made your decision, tap the screen to start moving again. Launch Blocks launch Mario in the direction shown on the block's arrow. Simply running across a launch block does nothing; to trigger it, you'll have to tap the screen as you cross it. If you tap on a reverse Launch Block, Mario will run backward. Springboards catapult Mario in a specific direction through the air. This can be useful for climbing walls and getting to out-of-reach places. Red Rings make red coins appear. Red coins are special high-value coins that only appear for a limited amount of time — usually about five seconds. Make sure to run through a Red Ring whenever you see one! Super Stars will turn you into an invincible coin-collecting machine. They are hidden amongst bricks (usually ones that are hard to reach), so be sure to jump into bricks to smash them! The Super Star power-up acts as a magnet, drawing coins toward you as you run: Big time fun. Switches control moving platforms: Some levels have switchable platforms that will help you reach greater heights and collect Challenge Coins, but be careful! When you switch an active platform, it may leave you without any footing. P Switches turn blocks into blue coins for a limited period of time. Jump on a blue P Switch to snap up as many blue coins as you can in a limited time period. Time Extenders add a few extra seconds on the clock. Time Extenders are invaluable on some levels, so be sure to grab one whenever you see it. At the end of each world, you'll have to face a boss. First, you'll have to complete a level run, but instead of ending the level by grabbing a flagpole, you'll meet up with a Big Boss like Bowser or Boom Boom. Make sure your character is fully powered up before entering a boss battle. That way, you have a little wiggle-room when it comes to making mistakes. After all, it ain't easy to jump over Bowser's spike shell. After defeating the boss, you'll unlock the next world. Toad Rally is Super Mario Run's multiplayer mode: You can compete against other players online in a competition of speed and accuracy. In Toad Rally, you'll race against a ghost version of your opponent while each of you complete a level. The number of coins you gather and tricks you pull off during the mini-game determines who wins the round. New colors of Toads are unlocked as you defeat each World boss in the main Super Mario Run game. For example, you'll unlock green Toads when you complete World 1, and purple when you complete World 2. Keep an eye on what your opponent is offering up in terms of Toad colors. Different rallies have a different color of toad expected crowd. Tap on an opponent to see what the expected crowd will be. When you win a rally, Toads will rejoin your kingdom. But if you lose a rally, some of them will leave. These Toads are not impressed. When you perform tricks, you'll get the audience — a bunch of adorable Toads, natch — cheering and excited. The more Toads cheering you on, the higher your score. You'll want these little guys on your side: Not only do they help you in winning a rally, but if you win, they rejoin your kingdom, allowing you to unlock new and awesome buildings and decorations. Do wall jumps and crush your enemies to impress the Toads. But, be careful, dying will make them like you less. If you die while in a Rally, you'll lose everything you've built up in the Coin Rush meter and lower your overall score. When competing against others, every point counts. You can unleash a coin-collecting frenzy in Toad Rally by filling your Coin Rush meter: When it reaches full, coins start falling like rain, letting you get the most jingle in the least amount of time. You fill the coin rush meter by collecting coins (including Challenge Coins) and pulling off sweet tricks. All the coins you collect in Super Mario Run can be used to build and deck out your personal Mario kingdom. You can buy buildings and decorations from the shop, then place them on your land. But in order to add items to your kingdom, you'll have to entice Toads back home. Play Toad Rally a few times to impress them with your sweet moves. As Toads come back to the kingdom, you'll level up your castle. Remember: if you lose a round in Toad Rally, some of the Toads will leave the kingdom again. You can place up to eight buildings and 12 decorations in your kingdom at first. However, you can build a rainbow bridge to connect two parts of the kingdom back together once you've gathered enough Toads back into your kingdom. You can also purchase buildings that will attract familiar characters, like Luigi, Yoshi, and Peach, all of whom you'll be able to play in game. Each character has different special abilities, which makes replaying levels new all over again. Note: Toad is a My Nintendo exclusive reward. To unlock him, you must be signed into your My Nintendo account. You can redeem him in the My Nintendo tab in your kingdom. You can also buy special bonus buildings that unlock mini-games. You can play these bonus games once every eight hours: These bonus houses are a quick way to earn coins and Toad Rally tickets. Yoshi, Toad, and Peach are playable characters in Mario Run. But, they don't come easily. You have to entice them back to your kingdom by impressing them with how many Toads have come home. Well, Toad will join the kingdom when you sign into your My Nintendo account and redeem him. But, Luigi, Yoshi and Peach can be unlocked by winning Rallies and gathering Toads. You can also unlock Toadette and bring her into your kingdom, but she is not a playable character. 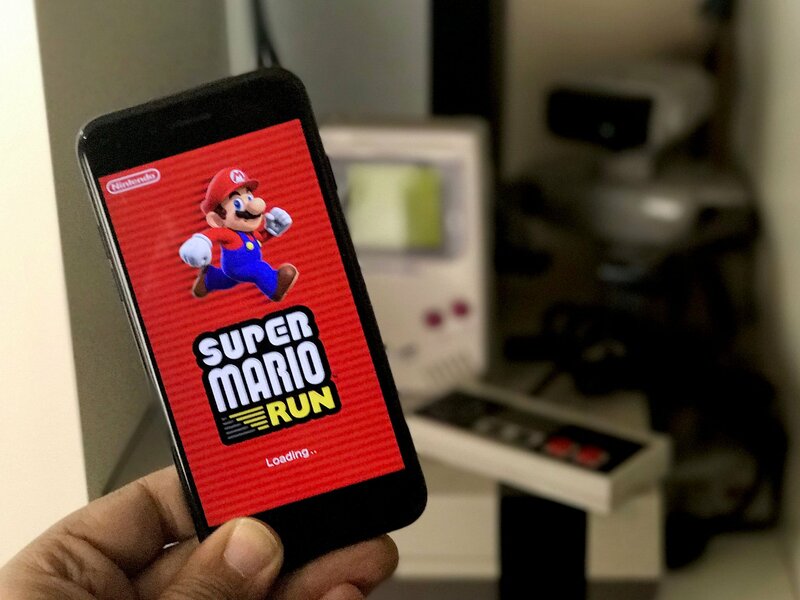 Super Mario Run is pretty amazing and provides hours of non-stop gameplay (I literally spent an entire day playing it while trying to write this game guide, and never got bored.) Do you have any questions about how to play the game or unlock characters? Put them in the comments or check out our Super Mario Run forum. You can also read up on our Super Mario Run Tips and Tricks. And if you know any secret tricks or have found any easter eggs, be sure to let us know! Super Mario Hub: All the latest tips!